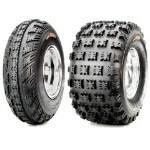 - Our STI tires are sold individually. 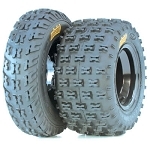 - In most cases our STI ATV tires ship out same day! - Designed and manufactured to deliver high performance at a surprisingly low price. 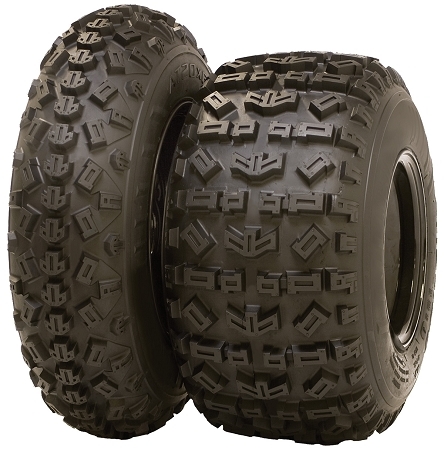 - High-tech rubber compound provides exceptional hook-up on hardpack, while the aggressive tread pattern pulls strongly through soft loam—a winning combination! 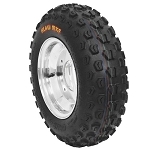 - Lightweight construction reduces unsprung weight for unmatched bite and acceleration. - Low-profile carcass reduces bounce and enhances high speed control.